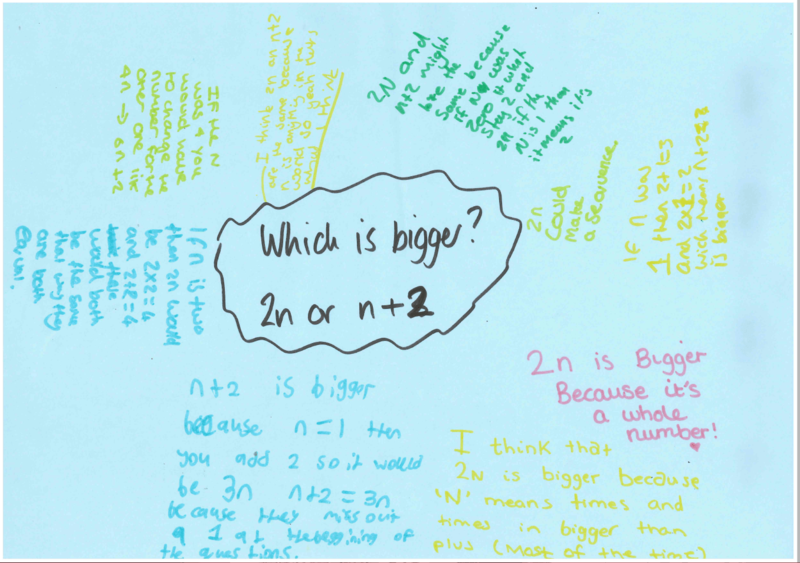 Some students think that 2n is larger because it involves a multiplication. Greer (1994) refers to this misconception as Multiplication Makes Bigger, Division Makes Smaller (MMBDMS). 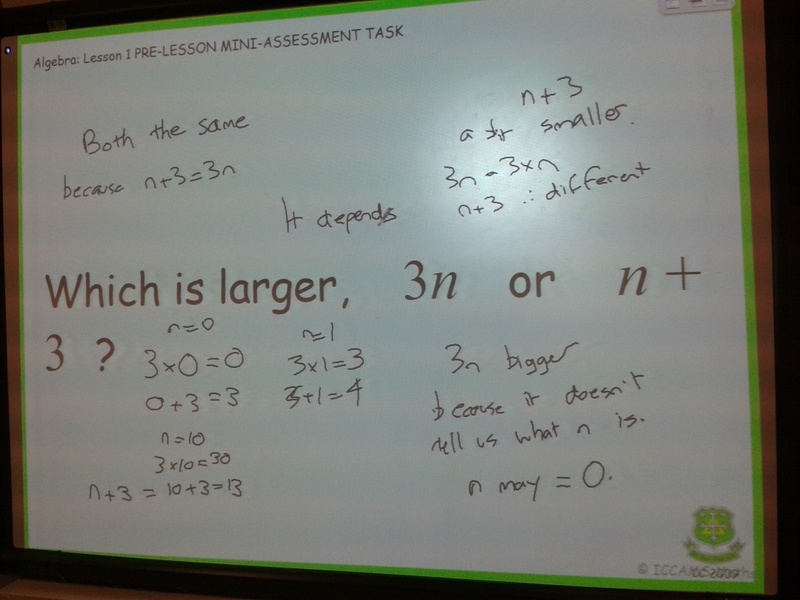 Some students think that n+3 can be simplified to 3n, so 3n and n+3 are the same (or equal). 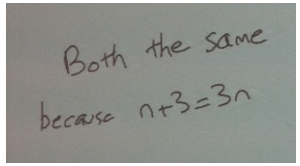 Some of these students justify this using “Brackets first” from BODMAS. Some students think that the letter n represents a specific but as yet unknown number that the teacher “knows” and they need to either work out or guess.